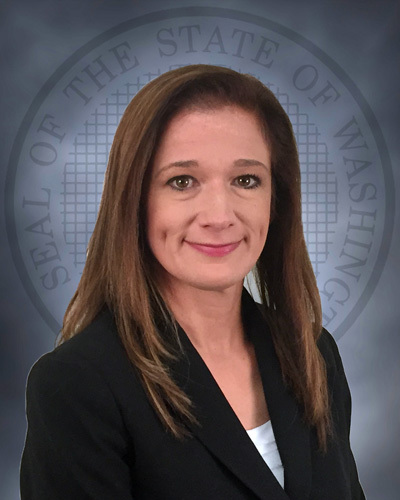 TUMWATER – Secretary Stephen Sinclair has named Danielle Armbruster as the assistant secretary of the reentry division within the Washington Department of Corrections, effective December 1, 2017. The appointment is part of the department's recent reorganization and streamlining to focus on community reentry. Armbruster currently serves as the assistant secretary for Correctional Industries and brings more than 21 years of correctional experience to the role. Danielle Armbruster began her career with the Department of Corrections in September 1996 as a clerk typist 2 and promoted through increasing levels of responsibility from accounting to general manager of Correctional Industries at Stafford Creek Corrections Center. Armbruster has also served as a board member with the National Correctional Industries Association (NCIA) and recently served as the chair for the NCIA’s Western Region. Armbruster is the 2012 recipient of the Secretary’s Leadership Award.